Located in Central Philippines, the Visayas is an important region in the country where many noteworthy places are a must-visit -- especially for beach-lovers, divers, mountaineers, sightsee-ers, spiritual people, spelunkers, etc. #1 - Siquijor Island: Dubbed as a mystical island for its folk healing traditions, Siquijor Island is also where you'll find a good number of scenic sites. Some of these are the torquoise waters of Kagusan and Salogdoong beaches for a refreshing swim; multi-tiered and lovely Cambugahay Falls; Siquijor's highest peak, Mount Bandilaan that has a nature park, adorned with natural springs, caves, butterfly sanctuary, etc. ; Cantabon Cave with sublime rock formations, and a serene pool; plus wonderful ancient churches, suitable for quiet prayer and reflection. #2 - Boracay Island: A mere bicycle or motorbike ride is all you need to get a complete view of 4.5 -mile long, Boracay. It is still the best vacation island to go to, especially in the hot summers. Take advantage of the picture - perfect sunsets at White Beach, or the stunning white shells at Yapak Beach. 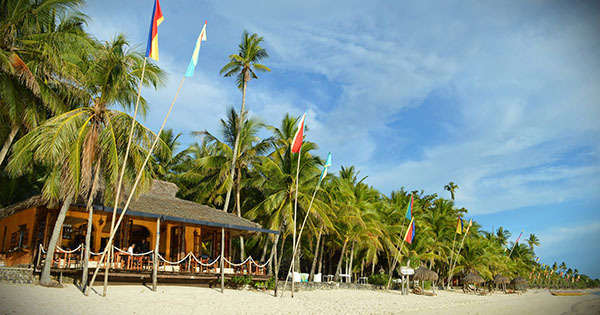 Otherwise, spend a quiet but romantic honeymoon over at Balinghai Beach. #3 - Cebu Island: Excellent white sand beaches, mountain resorts, superb hotels, golf courses, world-class diving sites, historical landmarks, interesting mountain trails for hiking..and so on...welcome to Cebu Island! These are just some of the reasons why 35 % of foreign tourists make it their favorite destination when staying in the Philippines. Thus, Cebu Island is considered the most important location for international travelers on vacation. #4 - Panglao Island: Yet another well-loved place for divers, are the waters around Alona Beach -- the most famous strip of resorts and dive centers on southern Panglao Island. This beautiful island is just 15 kilometers away from Tagbilaran, hence, it is a perfect spot from where other exciting places in Bohol can be seen to complete your frolic voyage. #5 - Bohol Island: For your most memorable visit to Bohol, highlight it with a tour to the following remarkable places: famous Chocolate Hills in Carmen; Philippine Tarsier and Wildlife Sanctuary -- get to meet one of the smallest monkeys in the world! ; Loboc River -- where you get to try delicious Filipino food while cruising; Aproniana Gift Shop -- so you can take home tarsiers..stuffed, that is ( LOL); and Pamilacan Island -- to watch dolphins and whales; not to mention, you can also bask in the white sand beaches and swim with their diverse marine life. There's just absolute, unending fun for everyone!